Mount Woodson Elev. 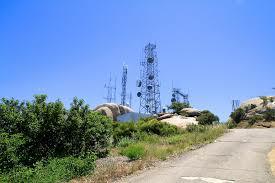 2894 ft./882 m. The site is noted on varying maps as Mount Woodson or Woodson Mountain. The common reference is Mt. Woodson. 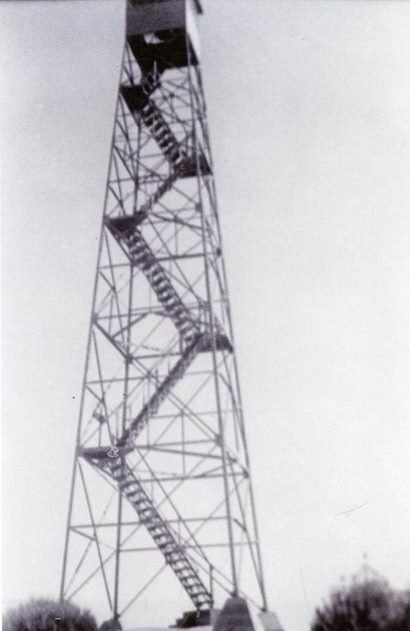 The 1936 structure was an Aeromotor 7×7 Observation only cab on an 80′ battered X-Brace steel tower accompanied by a BC-201 Fireman/Lookout residence ground cabin. 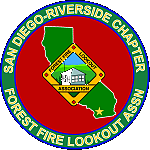 The 1950 structure was a CDF Standard Plan 809R 15’x15′ wood cab on a 30′ enclosed, non-battered K-Brace steel tower. The 2nd and 3rd floors below the cab housed living quarters. The 1950 lookout was apparently lost in a fire. New plans were drawn in 1968 for a replacement tower. Photos and descriptions of this structure have not yet been located. 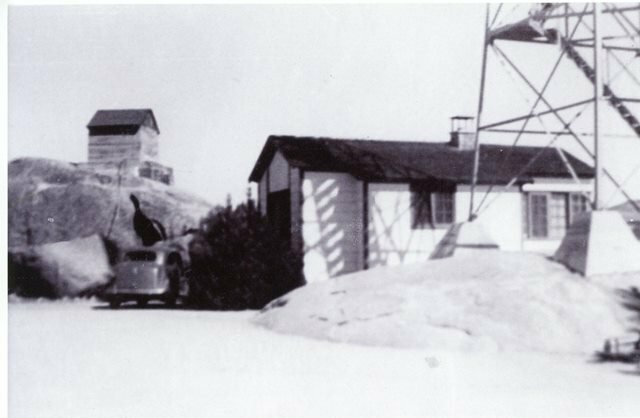 The 1936 lookout was likely constructed by Civilian Conservation Corps crews. The 80 foot tower would have been the tallest known in Southern California. The 1950 809R CDF design was a rare California only design…only 3 exist today…one of them is at Boucher Hill on nearby Palomar Mountain. The last lookout is noted as standing in a 1986 survey but demolished or removed by 1991.